Many organisations are unfamiliar with how to incorporate methods of recycling in the workplace whilst maintaining Data Security. 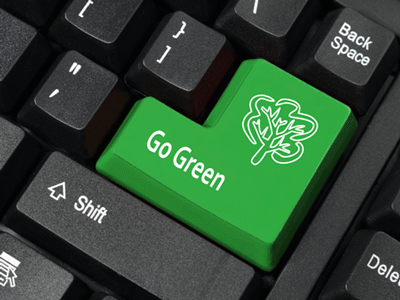 Shredding companies in Ireland can provide you with a recycling service for your business. All open and unsecured paper recycling bins in the workplace replaced with Security in Shredding’s lockable office friendly consoles. The benefit of using these consoles is that you know your confidential documents are safe from prying hands and eyes. Your documents cannot be retrieved as the consoles have bevelled slots. Each and every desk should have a specific paper waste bin that is used only for office paper waste. At the end of each employee’s working day, the employee takes the waste paper bin to the lockable console and empties the contents into the console. If an Organisation implements and enforces this process, it will greatly reduce the risk of a possible data breach. As many data breached are as a result of human error, the employer is not relying on the employees to distinguish the confidential paper from the non-confidential paper. This Policy is call a Shred-All Policy. A service provider that employees security-vetted staff to conduct service deliveries. The client has assurance that the personnel whom handle the confidential documents have received extensive security awareness training and have a great understanding of Data Protection Legislation. A service provider whom provides its onsite and offsite shredding services via shredding technologies that are certified to Shred No. 6 of the EN 15713 shredding standard. The benefit of having a Data Destruction Service Provider whom is certified to this shredding standard is that you have total peace of mind and you know that the shredding service is off its highest level. The vast majority of organisations are Data Controllers. Therefore these Data Controllers should most certainly use a Data Processor to processes its confidential data when I reaches its end of life. A Data Processor should issue its client a Data Processing Certificate detailing the quantity of material destroyed, the material type, date of destruction, name and location of the client and the shred number and shredding standard the material was shredded to. The certificate is proof of destruction and allows the client to keep track of data destruction for compliance and other data management purposes. Security in Shredding transport all destroyed paper material to licensed and permitted recycling facilities. The paper material is sent to paper mills. Printing ink is removed and the material is turned into pulp and it is then used to manufacture new paper products. An interesting fact; one tonne of recycled paper saves 17 mature trees and reduces carbon emissions. By implementing these changes you are contributing to making your organisation greener and whilst increasing the level of data security. For more information on a paper / document shredding service please visit our site for more information. This entry was posted in Confidential Shredding, Data Destruction, Data Protection, Paper Shredding, Recycling and tagged Confidential Shredding, Data Privacy, Data Security, document shredding, EN 15713, paper Shredding, paper shredding Cork, Paper Shredding Dublin, Paper Shredding Ireland, paper shredding limerick, paper shredding service, Secure Shredding, Shredding Dublin by Security in Shredding. Bookmark the permalink.